Andi Biron is the founder and CEO of Biron Herbal Teas. She makes drinks designed to help people feel better. She also has a lot going on. 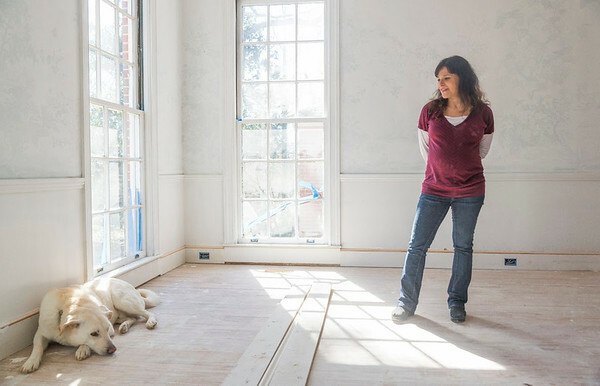 She's renovating an old house, expecting a second baby and running a business. When work is finished she'll have her own commercial kitchen to mix the whole herbs. "A lot of the other companies will pulverize the herbs which I really think eliminates a lot of the efficacy of the herb. It's not how it was intended to be brewed for medicinal purposes." Biron has a Masters Degree in alternative health. Her teas have names like Love and Laughter, Confidence, Inspiration and Worry Free. "Worry Free has lavender in it, chamomile, the traditional herbs that you think but it also has Ashwangandha and Kava in it. And those two herbs are really powerful when it comes to eliminating anxiety, worry, and really putting you in a relaxed state of mind." Biron grew up in Macon and returned recently with her husband to be closer to family. She loves being part of the local food movement here. "Yvonne's right now is our primary seller here in town with our teas and we'll do demos there as well. We've moved into Atlanta so we've been in some smaller independent what I would call gourmet and health shops there." Her next step is to increase production and expand into larger stores like Whole Foods and Fresh Market.